To Allied tank crews during World War II, the Panzerfaust was one of the German army’s deadliest weapons behind the static 88-millimeter cannon, the rocket-propelled Panzerschreck and — most of all — other tanks. The shoulder-launched Panzerfaust, or “tank fist, ” propelled a shaped charge warhead around 45–60 meters per second over a distance of 60-100 meters — depending on the Panzerfaust 60 and 100 variants. 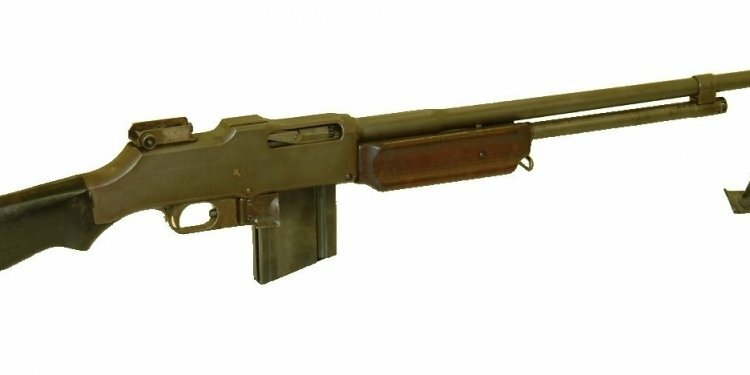 But it was always a short range weapon, requiring German troops to sneak up close to their targets before depressing the firing mechanism. Due to the Panzerfaust’s inherent range limitations, German anti-tank teams were most effective in dense or obscured environments such as cities and woodlands. A lone soldier armed with a Panzerfaust could — depending on the angle and shot placement — penetrate an Allied tank, ignite its fuel or ammunition and kill everyone inside. Crew members would only have a second or two to jump from their tank, surely suffering horrific burns regardless of whether or not they survived. If unable to escape, the flames would leave little more than ashes and bones. British Army tank commander Stuart Hills experienced the Panzerfaust’s power during the initial battles in northern Belgium that preceded Operation Market Garden. One encounter made for a harrowing passage in his 2002 memoir By Tank Into Normandy. Hills’ Sherman tank and three others with the Sherwood Rangers Yeomanry pushed into the Belgian city of Gheel on Sept. 9, 1944. Initially, the operation took the bloodiest toll on the tanks’ supporting infantry. An understrength rifle advancing with the Rangers met MG-42 machine gun fire in the fields outside Gheel. Hills witnessed an officer being “virtually cut in half as he received a belt of bullets all to himself, ” Hills wrote. Witnessing the officer’s death made Hills relieved to be a tanker. The Shermans’ concentrated fire soon silenced the MG-42s, and the advance into the town center proceeded without incident. The defending Germans had largely abandoned the city, and the British tankers encountered Gheel’s townspeople celebrating their liberation by hanging Belgian flags from their homes. However, word came within hours that a German counter-attack had cut off the tanks’ route into town and left them surrounded. The civilians removed their flags, which added to the tankers’ nervousness. As night fell, the British tanks huddled in defensive positions around the town square, their crews watching down the connecting streets. German probing attacks made little progress, and the Shermans knocked out a tracked Jagdpanther tank destroyer at near point-blank range. Then the sun rose — and a Sherman tank next to Hill’s vehicle burst into flames. The driver was killed. The tank’s commander, Capt. Jimmy McWilliam, jumped out but was terribly burnt. The general rule when it came to direct hits was that “it was largely a matter of luck whether you emerged alive, ” Hills wrote. My mind was full of horrors. I had seen at the closest possible range what had happened to Jimmy and now it was very likely that the same thing was going to happen to me. Here I was sitting in my Sherman with all its firepower, but I could not identify any target or even guess in what direction I should be looking. Sure enough, about two minutes later, there was a terrific sheet of flame and shower of sparks as we were hit. We fired the Browning machine-gun in what we thought was the direction of the shot and backed furiously if rather clumsily into the main square, thankful to be able to move at all. A piece of shrapnel had grazed my forehead and taken my beret with it, but that was the extent of the damage to any of us. My driver, Bob Ingall, said that he had seen a Germany infantryman a second before he fired his Panzerfaust at us and had felt the blast on his legs. I did not have the chance right then to look at the damage, but I later found that half a track plate had been shot away on our starboard side and that a hole had been punched right through the entire sprocket assembly into the differential. If we had had a co-driver that day, he would almost certainly have been killed or at least lost his legs. The surviving tanks of the Sherwood Rangers Yeomanry withdrew from Gheel. The Allies wouldn’t recapture the city after another six days of heavy fighting. Hills recalled having nightmares of his experiences decades later that would leave him feeling “despair and terror.” But he kept those thoughts from overwhelming him due to his considerable courage and support from fellow soldiers.